A floor jack is a tool you will most likely find in any garage as it is one of the essential things to have, no matter if you are a professional or rookie when it comes to repairing a car. The floor jack provides you with enough force to lift heavy loads, like cars for example. The floor jack is the tool that helps you instantly lift something very heavy with no effort. Now we believe that it’s understandable why such a tool is a necessity for any garage in the world. The floor jacks are not intended for use on the road because they are big in size and not easy to carry around. The floor jack is best stored in the garage, on some place from which you won’t have to move it too much. There are many small floor jack’s features concerning design and structure that can make a significant difference in the overall functionality of the floor jack. Let’s explore the finest products and provide you with a useful shopping guide. What types of floor jacks are available? Before deciding to buy a floor jack, you should first have in mind that the floor jack which is too heavy can significantly slow down your work and take too much time and effort for its transportation. The thing that mostly affects the final weight of the floor jack is the material that it’s made from. The heaviest floor jacks are made of steel, but have in mind that these floor jacks are by far the most durable. On the other hand, you have light models which are made of aluminum and these floor jacks are meant to combine the durability and strength of the steel jacks with a weight of lighter materials. Depending on your needs and capabilities you won’t make a mistake if you decide to buy either type of floor jacks because both have specific advantages that can help you. The most important thing is to buy a quality floor jack which can endure frequent use and provide you with optimum performance. How does the floor jack work? 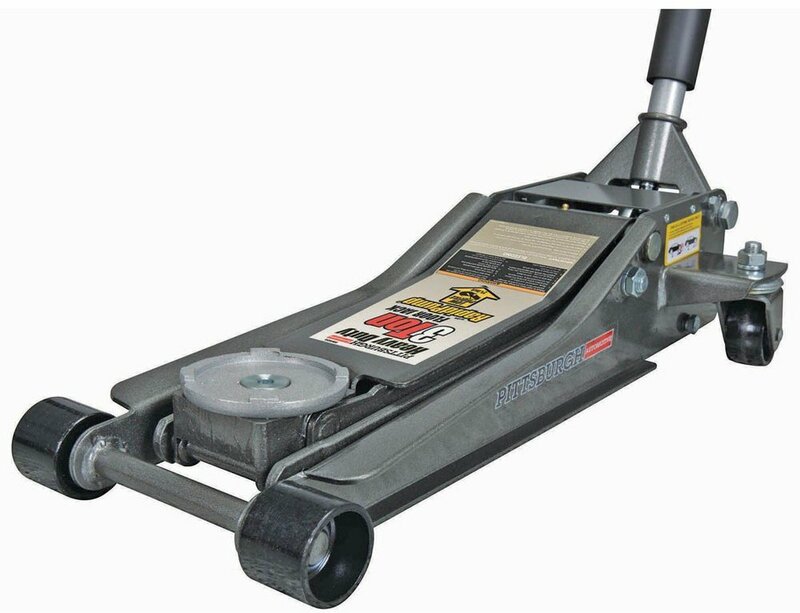 The first thing you need to do with a floor jack is to wheel it or slide it under the car. Wheeling and sliding are the only floor jack transport options as it’s extremely hard to pick the whole thing up and place it somewhere else. After you position the floor jack underneath the vehicle, you should start pumping the arm of the unit and then it will do its magic. When you pump the floor jack’s arm, the oil out of the jacks reservoir is being sucked out and forced afterward into the lift chamber. This pumping action finally creates a strong increase in oil pressure and makes the saddle arm of the jack lift your car. 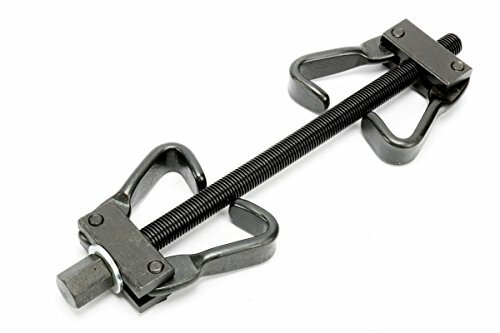 Such strength makes the floor jacks superior to more portable, scissor jacks as they are much more durable and rarely fail to lift the weight. Although the floor jacks are most likely never fail while lifting something much heavier than them, it’s recommended to consider the toughness of the jack while deciding which to buy. As mentioned, the steel jacks are with no doubt, the toughest floor jacks, but titanium models also have immense durability and lift power. It’s crucial that you check the user experience before you buy the floor jack as it can help you get a full picture of the product’s overall quality. Also, some users may share interesting details about some options which the product can offer. So, we recommend you to always do a bit of research before making a final decision as it can help you make the right one. The review here lists the best products available on the market. Why we like it: This floor jack meets all the criteria for a high-quality and reliable tool. Also, it can lift almost any passenger vehicle as it has a lift capacity of up to 2 tons. Such a strong floor jack is definitely going to be an essential thing in your garage once you learn how to use its advantages. Also, the transportation of this floor jack is not hard, which makes it a great investment that improves your performance in the garage. This floor jack has an immense lift capacity of up to 2 tons. This means that you can use this floor jack to lift any transport vehicle with no effort. The construction of this floor jack makes it quite reliable when it comes to lifting vehicles because the oil pumping system is well-designed. While pulling the arm of this floor jack you increase the oil pressure much more efficient than on the average floor jack. Another great feature concerning the overall strength of this floor jack is a steel safety bar that slides under the lift arm and secures the jack in the topped-out position. This allows for reliable use of the floor jack and provides you with good performance when you need to lift the vehicle higher. One of the most important features on this floor jack is the fact that you can slide it under vehicles as low as 2 inches and raise up to 15 and a half inches. This feature improves the functionality of the floor jack as it increases the number of vehicle types you can use it on. Not many standard floor jacks have such a superior design, which means that this floor jack is one of a kind on the market. This is the standard feature you should keep your eyes on while looking for a new floor jack. You need a reliable tool which can withstand the hardest lifts and this floor jack will give you the performance you need. As mentioned, this floor jack has a steel safety bar that slides under the lift arm to secure the jack in the topped-out raised position. This feature improves the toughness and durability of the floor jack so you won’t need to buy the floor jack support stand. A great combination of construction and materials gives this floor jack the exceptional toughness and durability which can provide you with great performance all the way. With this floor jack, you can have any heavy lifting finished in no time and with no effort. Why we like it: This is the example of a good old classic floor jack. It is made of steel and designed to give you the most reliable performance. 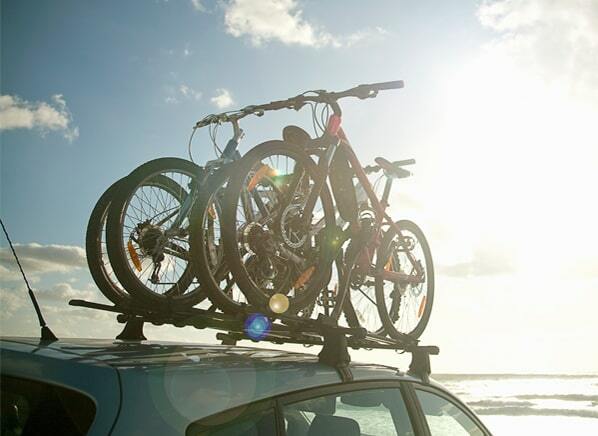 The transportation may seem difficult, but you will have a tool that can endure any lift. For experienced users, this floor jack is the quality standard, and there’s a reason for that. You can lift any vehicle with it, you can count on it for decades, and the transportation was made easier with durable wheels. This floor jack features strong steel construction with a well-crafted lifting mechanism that helps you lift the weight up to 3 tons. With such a lifting potential, this floor jack meets the criteria of the high-quality product, designed for extensive and frequent use. The classic construction of this floor jack makes it a standard for every professional. Strong steel construction ensures the outstanding durability of this floor jack and makes it suitable for the hardest lifting tasks. With the immense toughness it has, you can count on this floor jack to raise any transport vehicle with ease and improve your performance in the garage. You can use this floor jack extensively as it is designed to endure frequent use and frequent heavy lifts. This is a crucial feature on this floor jack which makes it a great investment although it may seem like a big one if you have in mind its price. No matter how expensive it is, this floor jack will prove that it’s worthy as you won’t have to search for the new one in decades. Rapid pump feature improves the overall functionality of this floor jack as it makes you capable of lifting the vehicle with ease in seconds. The oil pressure is increased quickly thanks to the special pump design that efficiently transforms your pulling energy into the much stronger lifting force. Rapid pump feature increases the overall strength of the floor jack. This floor jack has a big lift capacity that goes up to 3 tonnes. It’s hard to move and some people may find it pricy. Why we like it: Pro-Lift floor jack comes with useful features and a good design which makes it extra low profile and suitable for use on any type of vehicle. Also, this floor jack has a great lift capacity and meets the standard criteria for the quality tool. The transportation is also simplified, so you won’t get a headache while moving it from position A to position B. This floor jack is designed to give you better access to vehicles which make a low ground clearance. This is the main feature on this floor jack and makes it a good choice. The low profile design makes this floor jack quite versatile and more functional on many levels. The floor jack can be positioned under clearance of 3 and a half inches and lifted up to 14 inches. This allows for improved performance in the garage and better access to all the vehicle’s parts. This floor jack comes with a patented bypass device which serves to protect the floor jack from over pumping. This means that the durability and functionality of this tool are enhanced. You can lift the heavy vehicles with no worries if the floor jack will suddenly crack under pressure and remain out of function afterward. Also, there is another feature provided by the specific construction design of this floor jack and it’s a built-in safety valve. The goal of the safety valve is to protect the floor jack from overload. This means that stable and reliable performance is guaranteed. The materials used for the production of this floor jack are high-quality and ensure immense durability of the tool. This floor jack is made of solid steel which improves its quality and durability. Heavy-duty steel construction increases the toughness of the floor jack and makes it capable of undertaking any hard lift. You can position this floor jack under any vehicle. The tool has great protection features like patented bypass device and a built-in safety valve. This floor jack is strong and durable. Some users report minor problems with valve control. Why we like it: This floor jack is super portable because it features aluminum construction. Also, the lift capacity of this floor jack is impressive as it can lift up to 3 tons. Although it’s designed to be lightweight, this floor jack can easily undertake the heaviest lifting tasks. We recommend this floor jack for users who are not experienced in the garage as the transportation benefits provided by aluminum construction can make it easy to learn the basics of the floor jack use. This floor jack has a durable, but at the same moment lightweight aluminum construction which simplifies the floor jack’s transportation. Aluminum provides you with optimum lifting performance as it’s both lightweight and strong. You can easily lift heavy weight thanks to the durability of aluminum and you can easily move the floor jack around the garage. As mentioned, aluminum is a durable material, but this floor jack has more of the construction features that improve its durability and performance. The floor jack features a reinforced lift arm that adds strength, along with chassis torsion control and durability. Also, the tool comes with bypass and overload valves that should prevent over-extension of hydraulic ram during the heavy lifting tasks. These valves significantly increase the lifespan of the floor jack and improve its functionality. This floor jack also has fast rising features thanks to the dual pump pistons that let you easily lift the vehicle from 3.6 inches to 19.4 inches. Pistons are additionally enhanced with dust shields which serve to prevent hydraulic contamination and, therefore, decreased overall functionality of the floor jack. This aluminum floor jack is easy to transport. Fast pump feature improves the floor jack’s performance. Bypass and overload valves protect the floor jack. Great performance of this floor jack has its price and it can be too big for some shoppers. 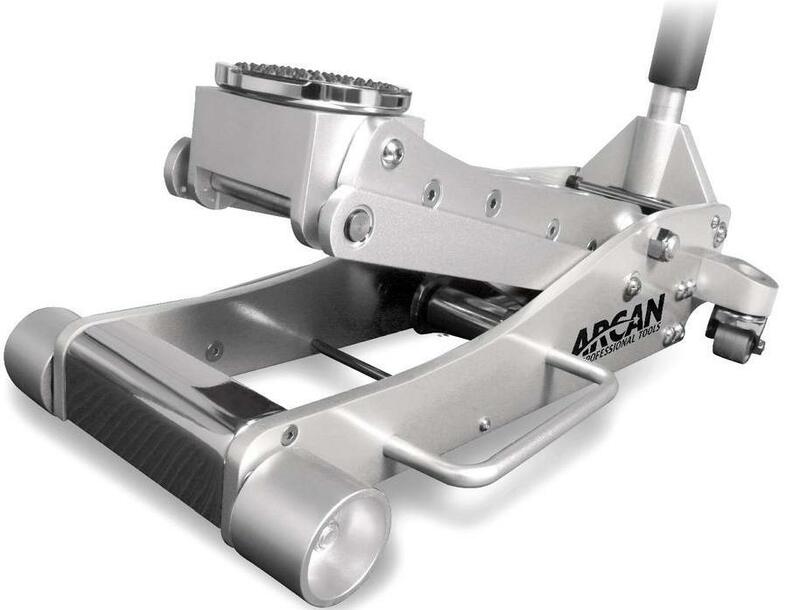 Why we like it: Arcan floor jack features a compact design meant to save some space in the garage and provide you with the performance and durability of a full-size jack. Also, this floor jack features rapid lifting options which improve its performance. The universal joint release mechanism is another useful feature on this floor jack that provides you with precise control that can increase your efficiency in the garage. 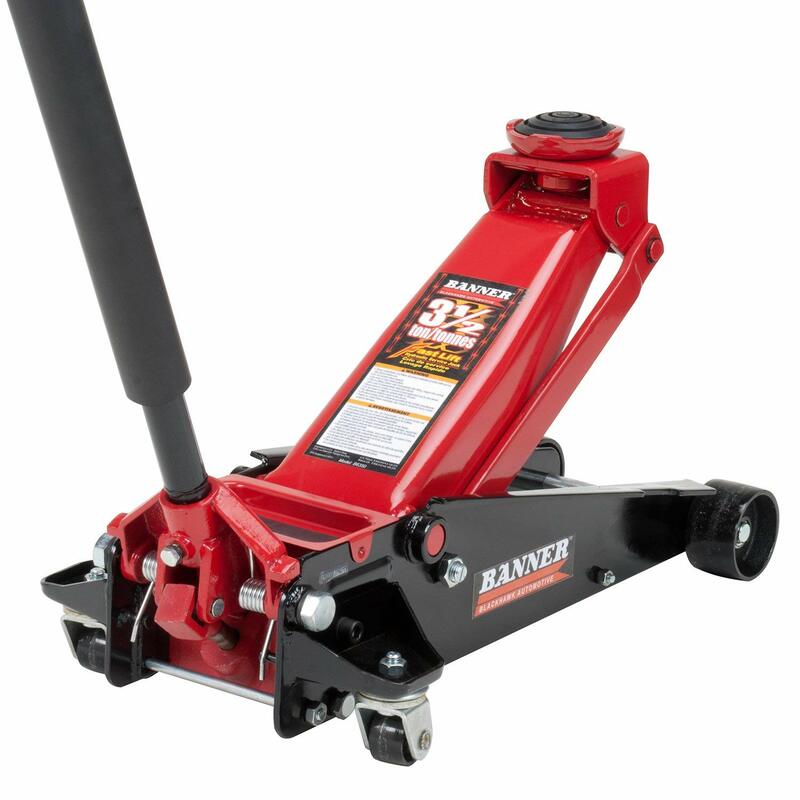 This floor jack features a specific design, meant to decrease the amount of space it needs in your garage. Such a specific design doesn’t affect the performance quality and durability of this floor jack as it can lift up to 3 tons and endure extensive and frequent use. The floor jack is constructed of high-quality, heavy-duty steel which ensures the overall quality of the tool. With steel construction, this floor jack will serve you for a long time, providing you with reliable use and high-end performance. Also, the jack’s smaller size makes it easier for you to move it around the garage and store it. The performance of this floor jack is enhanced with dual pumps which give you the rapid lift option. With rapid lift option, you can quickly lift the vehicles with no worries if the floor jack will suddenly crack under pressure. The thing that protects this floor jack from overloading is a safety valve which makes sure that the floor jack endures heavy pressure. Another important feature is a precise control option provided by the universal joint release mechanism. This joint release mechanism gives you more control over the lift speed that helps you position the vehicle according to how high you need it to be. Such a feature is meant to improve your efficiency in the garage and enjoy the comfortable use of the floor jack. Compact design allows for easier storage and transportation of the floor jack. Rapid lifting features improve your performance. The floor jack has protection mechanisms that ensure its long lifespan. Precise control option provides you with comfortable use of the jack. Its compact design may decrease the durability in case of frequent use. Why we like it: Blackhawk floor jack is designed for heavy-lifting and it’s a heavy-duty tool. This floor jack features an immense lift capability of up to 3.5 tons, which means that you can lift any transport vehicle with it. 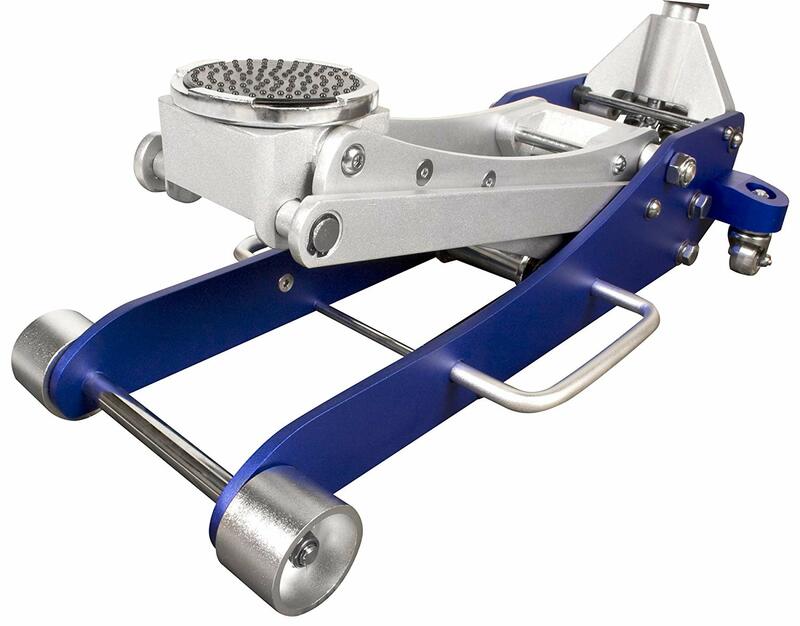 Also, the tool comes with fast lifting technology that speeds up the lifting process, saving your time and effort. The main feature on this floor jack is its immense strength that allows for easy lifts of up to 3.5 tons of weight. Such strength is enough to easily lift any vehicle and give you reliable performance in any situation. The floor jack features a strong steel construction that makes this tool both durable and efficient. Although it might make it hard for transportation, steel construction guarantees the long lifespan of the tool, making it your reliable partner in the garage. Floor jack’s main objective is to make it easier for you to lift the heaviest weights instantly. This floor jack does it better than others as it features the fast lift technology that increases the oil pressure in a second. Accompanied by the floor jacks steel construction, fast lift technology makes it unusually easy for you to instantly lift vehicles up to 3.5 tons of weight. This feature is meant to improve your efficiency in the garage and leave you with more time to focus on some other important things while repairing or upgrading your car. The reliable performance of this floor jack is ensured by protection features such as the bypass device that prevents the damage from over pumping and the built-in safety valve and vent plug that ensure the safe use of this floor jack. Strong steel construction ensures the durability of the tool. 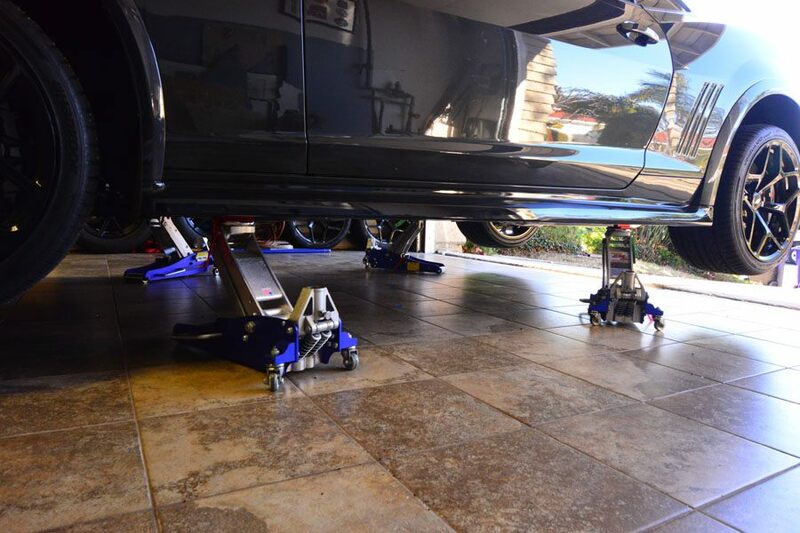 Fast lift technology increases floor jack’s lifting performance. This floor jack has an immense lift capacity of up to 3.5 tons. Like all the other steel floor jacks, this floor jack is also difficult to carry. Why we like it: LiftMaster offers a floor jack tool that features low profile design which makes this floor jack useful for almost any type of vehicle. 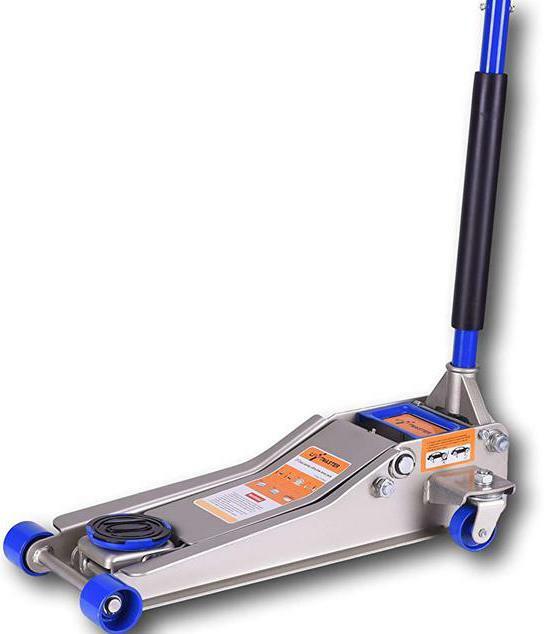 The construction of this floor jack features the advanced pump mechanism which decreases the amount of time needed for jack to lift the vehicle. Also, the security features of this floor jack make it a good investment as you can enjoy safe and reliable use of this popular lifting tool. Each floor jack that features low profile design will provide you with versatile use as it can adjust its height even to the 3 inches high clearance areas. Low profile design makes this floor jack a great investment because it can be used on almost any sort of vehicle and provide you with reliable performance. The construction of this floor jack features a specific pump design that allows for the quick and easy lift that saves your time and effort. This floor jack features a dual pump system that significantly reduces the time that floor jack needs for a successful lift. This feature enables you to lift the vehicle with fewer pumps and less effort as it transforms your initial energy into the strong lift impulse that finishes the job instantly. This floor jack has some comfort-oriented features that make it easier for you to use the pump for longer periods of time. 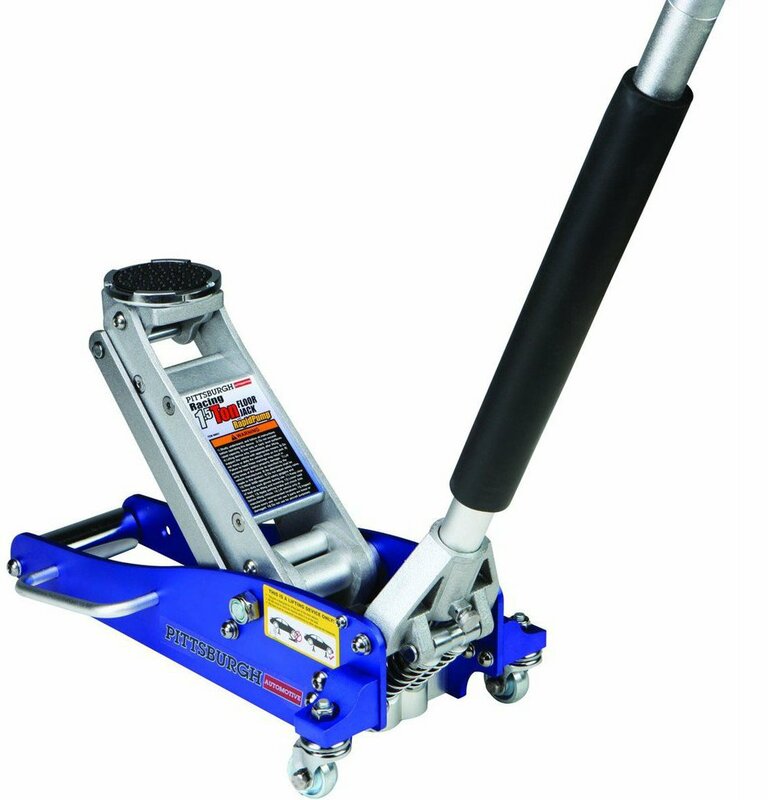 Namely, this floor jack comes with a two-piece knurled steel handle that ensures a solid grip and it’s enhanced with a foam bumper which is meant to prevent damage to a vehicle. Also, this floor jack comes with a strengthened rubber pad that reduces the friction and ensures the safe use of the jack. Comfortable use is very important if you’re a professional in the garage and have to use the floor jack frequently. Low profile design makes this floor jack suitable for almost all the vehicle types. Fast pump technology improves the jack’s performance. This jack provides you with comfortable use. The jack can lift any transport vehicle with great ease. Some users reported a problem with the fast pump but that majorly depends on an individual’s experience with it. Why we like it: You can buy this floor jack for a reasonable price and enjoy the high-end performance. 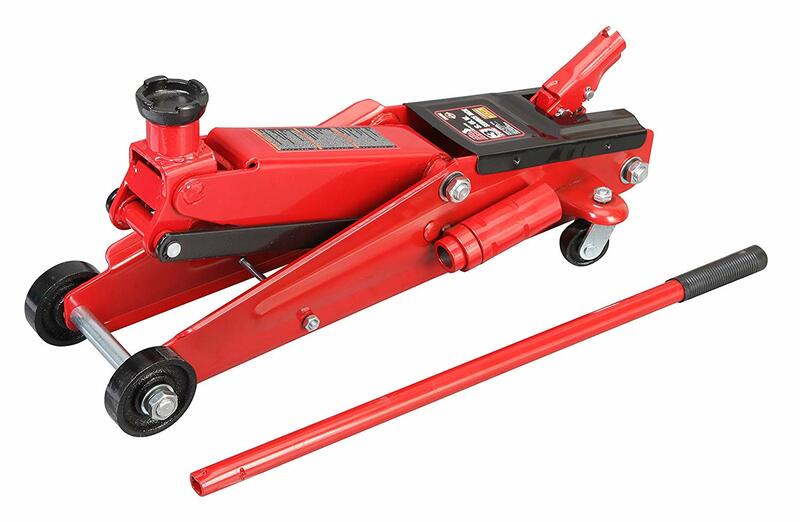 This floor jack can easily lift up to 3 tons of weight, which ensures the reliable lift of any transport vehicle. Also, the jack comes with easy mobility features that help you move it with ease across the garage and improve your efficiency. Torin floor jack features a solid steel construction that improves the functionality of the tool and increases the amount of weight it can lift. With up to 3 tons lift capacity, this floor jack is suitable to lift any transport vehicle out there and improve your efficiency in the garage. Also, the jack comes with an extra-long neck that is useful when you want to lift higher vehicles. With 360-degrees swivel casters, this floor jack is designed to be very mobile and ease your effort to move it all over the workspace. This feature improves your performance and gives you more options to arrange your workspace in the garage and organize your actions to achieve the best results. This floor jack will prove as a good investment because it’s one of the rare steel jacks that give you the chance to easily move it and save your time and energy for the more important tasks. Made of high-quality steel, this floor jack is designed to provide you with reliable performance for long periods of time. The high-quality materials used for the production of this floor jack, guarantee enhanced durability and impeccable performance of the jack. The jack is made to endure frequent use. Enhanced mobility is the main feature on this floor jack. The jack features high lift capacity. The durable construction of this floor jack ensures its efficient heavy-duty use. This jack is affordable and provides you with a solid performance. Some users report minor problems with pivoting wheels. Why we like it: With just 50.4 pounds of weight, this floor jack has a 2-ton lifting capacity that is enough to lift most of the transport vehicles out there. Also, this floor jack has a low profile design which makes it useful if you have to place it under the vehicle with a a small clearance area. With this floor jack, you will get quick lift options which reduce the time it needs to lift the vehicle. This aluminum floor jack features a combination of lightweight and strength which enables you to lift vehicles and move the floor jack with ease. With up to 2 tons of lifting capacity, this floor jack is suitable to lift most of the vehicle types out there. Floor jack’s durable aluminum construction enables it to endure the hardest task and remain functional afterward. Another useful feature on this floor jack is the low-profile design which allows you to easily place the floor jack underneath the vehicle with a small clearance area. This floor jack can be positioned inside 3 and a half inches clearance area and easily lift the low loads up to the height of 19 inches. Low profile design increases the number of vehicle types on which you can successfully use this floor jack. This floor jack comes with quick lift options, provided by the specific design of the oil pump. A great thing about this floor jack is the fact that it successfully transforms your pulling into a considerable force, potent enough to lift most of the standard transport vehicles out there. With the lift capacity of 2 tons and quick lift features, this floor jack will decrease the time and effort you need to lift the vehicles. These features will notably improve your performance in the garage as your efficiency will be higher. The quick lift feature gives you the chance to quickly pass the lifting stage and focus on other details in case you are repairing or upgrading your car. This floor jack is made of lightweight and durable aluminum which increases jack’s mobility and ensures standard lift capacity. Low profile features make this floor jack useful for lifting various vehicle types. Quick lift options reduce the time you need to do the lifting. This floor jack provides you with satisfying overall performance. Despite the low profile feature that lets you position this floor jack inside the 3 inches clearance area, some users report that it’s not enough for them. Why we like it: This floor jack comes with rapid pump feature that is designed to be used during the race, for quick maintenance. Although this floor jack has a bit lower lift capacity, rapid pump feature makes it unique and outstanding product on the market. Also, the floor jack has a durable construction that can withstand frequent use of rapid lift feature. If you have in mind the time-saving benefits this floor jack has to offer, it will prove as a great investment. Rapid pump feature needs a durable construction which can withstand its frequent use. This floor jack has a high-end quality aluminum construction that is meant to be useful for professionals and to enable them to lift heavy weights quickly. Also, this aluminum construction makes this floor jack more mobile than standard steel floor jack. 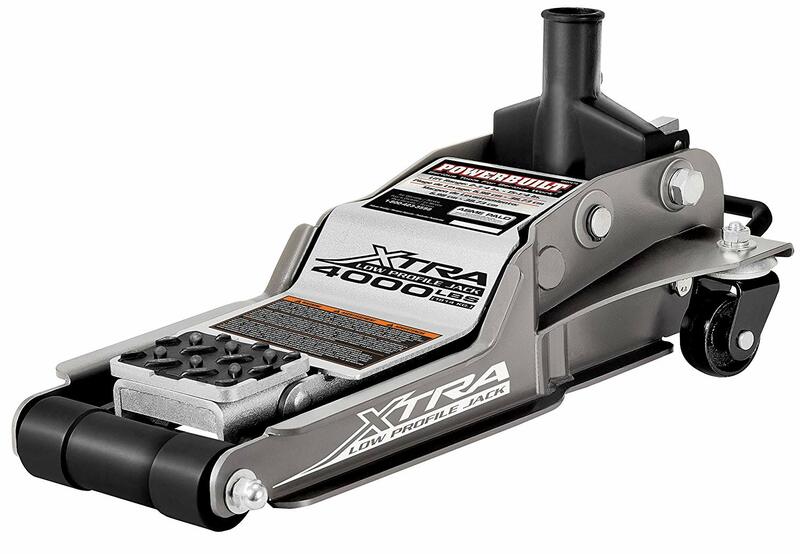 Designed to save the professional gearhead’s effort and time during the race, this floor jack comes with a rapid lift feature provided by its unique structural design. This aluminum racing jack has a dual parallel pump system that is able to lift most vehicles to an appropriate height in just 3 and a half pumps. Dual parallel pump system doubles your pulling strength and creates the force strong enough to finish heavy lifts in no time. Another useful feature that this floor jack has to offer is precise control of the vehicle height provided by the Universal joint release mechanism. This mechanism enables you to position the vehicle according to the height you need, saving your time and effort. Also, this mechanism will improve your efficiency in the garage and your overall performance quality. This floor jack comes with a knurled aluminum handle, designed to let you have a sure grip and it comes equipped with foam bumper that is meant to prevent the possible damage to the vehicle. These features make this floor jack a reliable partner that you can use extensively as its features ensure comfortable use. Aluminum construction increases jack’s mobility. This floor jack is durable and can withstand frequent use. Rapid lift feature increases your efficiency in the garage. The floor jack is designed for comfortable use. Lift capacity of 1.5 tons may not be enough for some users. After thorough research, we’ve reviewed some of the best products you can find on the market which all have the standard quality features, needed for the optimum performance of the floor jack. The products we reviewed can serve as a guideline for your further consideration of the quality and features you need on the floor jack. So, let’s summarize now the most important factors you should consider before buying your new floor jack. This is the main feature you should consider because it ensures both the reliable use of the tool and its lifespan. Durability is the main factor which will decide if you made a good investment or not. A tool that cannot endure the heaviest tasks might also be dangerous to use, so it’s crucial that you find a product that features strong and durable construction to ensure full safety while working in the garage. Generally speaking, it’s not an easy task to move the floor jack no matter how lightweight it is, but you should definitely look for the product which gives you more transportation options. Easy transport will improve your overall efficiency and performance in the garage as it will save your time and help you arrange the workspace according to your needs. The feature that is also useful and improves the mobility of the floor jack is the floor jack’s low profile design. This design helps you position the floor jack inside the low clearance areas under the vehicles. With this feature, the number of vehicles types on which you can use the floor jack is notably increased. This is also among the most important factors you need to consider before buying a floor jack. Lift capacity is a crucial feature as it lets you know how much the floor jack is able to lift. Some floor jack models have enormous lift capacity, without rapid lift features and some floor jacks feature lesser lift capacity, but can lift heavy weight in second. Depending on your needs make sure that you chose the model which lets you lift more and saves your time. Floor jack models are generally divided into two types based on the material they are made of. The first type of floor jacks is the steel jack that features heavy weight, less mobility, but on the other hand, enormous durability and lift capacity. The other floor jack type is the aluminum floor jack that is designed to be lightweight and durable. Aluminum floor jacks have great mobility and will provide you with reliable performance. 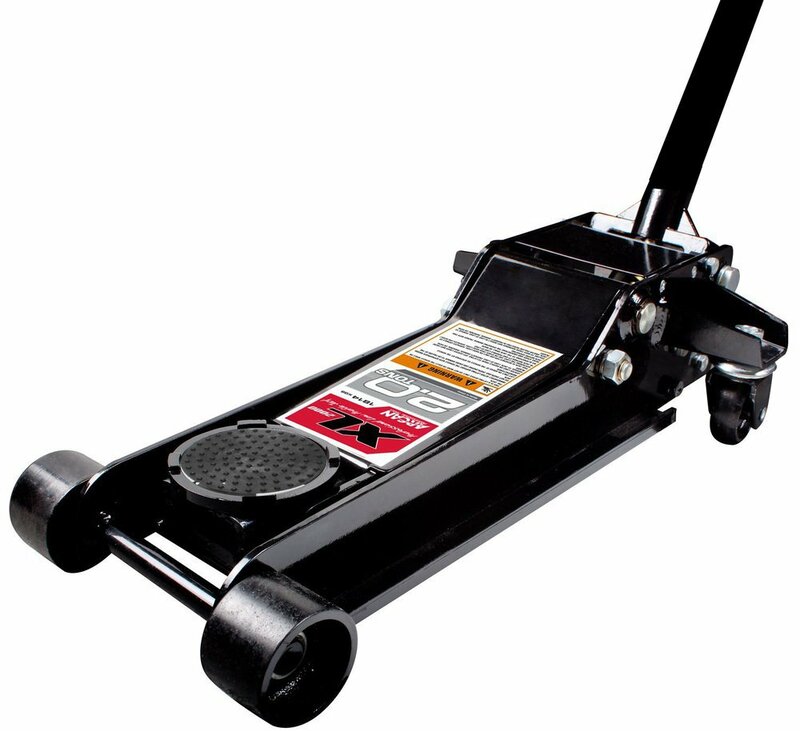 A floor jack is an essential tool that is part of every upgraded garage. 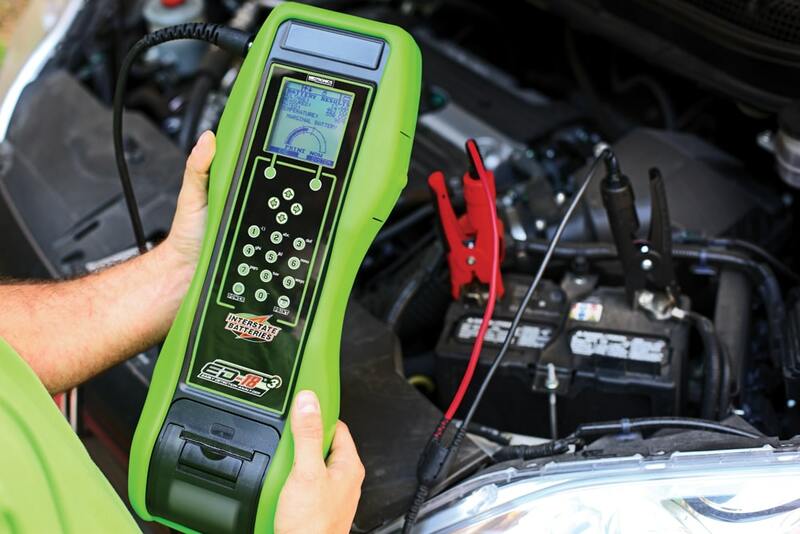 The smart engineering behind this useful tool makes it irreplaceable and provides you with crucial features, needed for optimal performance in the garage. If you have this in mind, you can easily understand that it’s necessary for you to invest in a quality floor jack. For satisfying performance, look for the floor jack models that can do their job according to what you need. This means that if you work with heavy vehicles, then you should consider buying the durable floor jack with great lift capacity. On the other hand, if you want to save your time and effort, look for the floor jacks with rapid lift features and with aluminum construction that increases floor jack’s mobility. If you follow these guidelines, you will make a worthy investment.